The French city Agen has a population of over 33 000 people. The city is located in the department of Lot-et-Garonne in Aquitaine. Agen is the capital of the department of Lot-et-Garonne. The city is best known for the fact that here lived the famous prophet Nostradamus. After receiving his doctorate, Nostradamus moved to live in the city Agen where he started his medical practice. He managed to find personal happiness and married an incredibly beautiful woman who bore him two children. But the gift of prophecy of Nostradamus paid a high price - he lost both his family and his medical practice. In Agen, an epidemic of plague broke out and the doctor who managed to save hundreds of people from disease, failed to save his own family. Cured by Nostradamus Agen citizens have made him into a charlatan and that led to bringing the court of inquisition here. 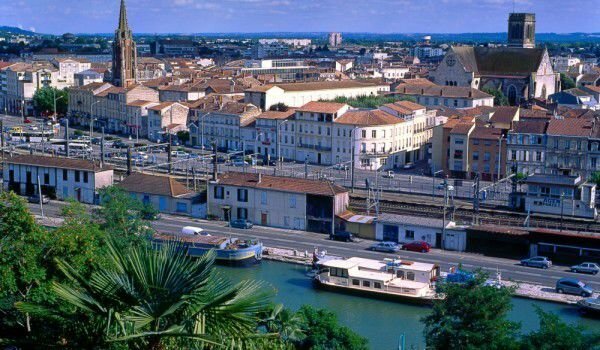 This story has attracted many tourists to Agen, who want to walk around the city, where once lived the famous prophet, to feel the atmosphere of antiquity. Agen has many attractions, but also many entertainment venues. One of the most crowded places in the city is the famous Agen swimming pool. The pool has a spa treatment that is known to people around the world. Another popular spot is the Theatre du Jour. In practice it is a merger of two smaller theaters, which are part of the same theatrical company. This is one of the most visited places in the city at night. The program of theater companies is extremely dynamic and offers both musical and drama, comedy, and dance performances. Theatre Ducourneau is perhaps the most famous theater in the city. It was built of stone and is one of the most imposing buildings in Agen. For decades, this theater is the largest cultural attraction of the beautiful French city. Theatres are the most remarkable in Agen, because they are very interesting and offer incredible performances, presented in a completely different and innovative way. Theatre La Tannerie is not just a place where people gather to watch plays. This is a huge exhibition space, where talents from different fields of art can show the audience what they can do. The incredible scene of the theater is one of the most attractive places for lovers of art. Despite the wide space and plenty of people the theater can hold, it creates a feeling of comfort and an intimate atmosphere. During the different months are held various shows, including musical productions, concerts, dance shows and theater performances. Here is located the Agen Museum of Fine Arts. This is one of the cultural centers of the city, where great works of art are collected. The museum keeps a large collection of valuable paintings, which were collected from all over Europe. Among them there are both French, and works by famous artists from different European countries. Pictures that are in the museum are painted in the last five hundred years. Among the paintings there are paintings of Goya and Sisley. The museum has a large collection of archeological artifacts. Among them one can see many interesting exhibits that shed light on the history of the city Agen.